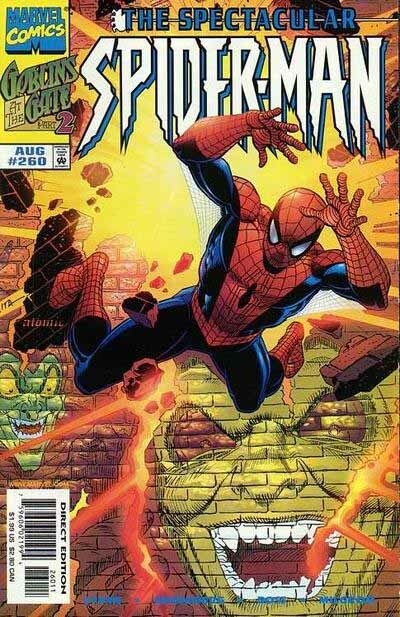 The new spiky Spider-Man logo I created for Marvel in 1994, seen last time, followed the arc of the original logo. This worked well on his own titles, but when used in combination with other logos, it was often an awkward fit. In 1995 I was asked to create a straight-line version, and I think the first place it was used was on the above two-issue series. The earliest version I can find in my files is this one from 1996, for another mini-series. I was working on the computer at this point, and after laying out the logo, I scanned the layout and traced it in Adobe Illustrator. Once rendered as a vector file, the logo could be stretched and resized easily. Looks like it was compressed horizontally a bit on that first cover above. Incidentally, the word REDEMPTION here began as a commercial font that I changed and added to, something very common in logos today that the computer makes much easier, thereby blurring the distinction of who actually designed something. 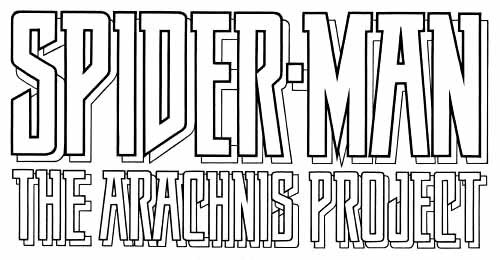 For comparison, here’s probably the final completely hand-crafted Spider-Man logo I did, in 1994, for another mini-series. You won’t find any computer font quite like this unless someone creates it in the future. That’s one thing often lost in the current computer-driven design environment. Nothing about it particularly says “Spider-Man,” but it is, at least, unique. A few years later the straight-line version of my logo began appearing on the regular monthly books, as above. The webbing was gone, but a cute little spider symbol behind the top line keeps the semblance of the idea alive, though it doesn’t really match anything associated with the character that I can think of. Still, I like it. 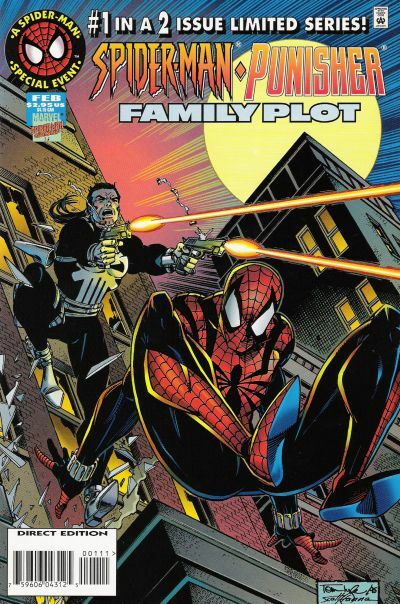 In January 1999 the flagship title relaunched with a new number one issue, but the same logo. 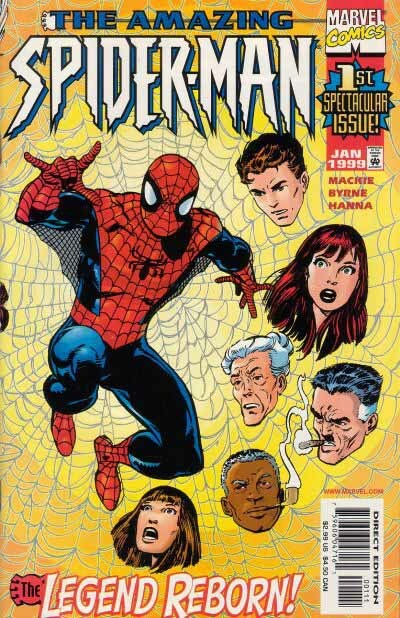 Artist John Byrne proved he could draw webbing with the best of them. 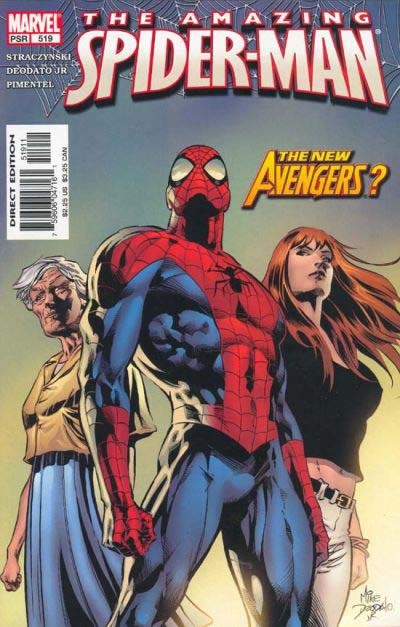 Marvel seemed half-hearted about this relaunch, though. 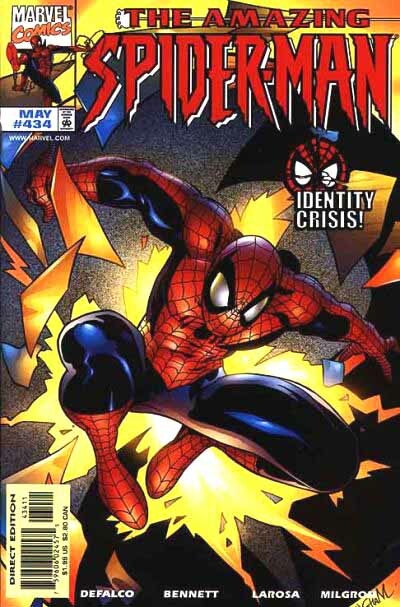 For issue 30 they returned to the tried and true old original logo, minus the webbing. Perhaps falling sales were a factor here, with the thinking being, let’s go back to the good old days when we were selling tons of these. One small change was the addition of drop shadows to THE AMAZING. And to complete the process, this issue scrapped the relaunch numbering so that the original numbering could reach 500. At a certain point gravitas and tradition have more weight than new and different, I guess. Well, perhaps that didn’t help sales much, so with issue 509 they went back to my spiky logo, but this version has been changed a bit digitally. I can’t be sure, but it looks like the outlines of the letters have been thickened in a way that makes the open areas inside them smaller. Notice how the inner triangle of the A now almost touches the line above it. I don’t care for this version much, personally. In 2003 SPECTACULAR relaunched with this logo design by Adam Chichowski. I like it a lot. Someone finally thought of using a giant spider similar to the one on the character’s chest behind the logo. True, WEB OF used a smaller, more realistic spider hanging in front of the logo, but this one is more integrated, and is cool and scary! The letterforms once again look like a commercial font, but I also really like the webbing INSIDE the letters. Very well done! In 2005 a new logo design debuted. This is the work of Marvel in-house designer Pat McGrath, and I think works pretty well. The letter forms look like they may have begun as a commercial font, but the perspective and bottom arc add interest, and I like the way they sit close together, forming a nearly solid unit. A telescoped drop shadow adds more dimensionality, and in the back a new version of the webbing returns, always a good thing in my book. 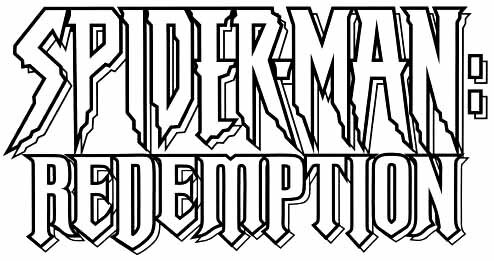 Patrick tells me that at the time Marvel wanted to create a uniform look for all the Spider-Man books and licensed products, so this logo, with variations of title, appeared on all the books for a few years, then returned to the classic logo, which I’ll cover in Part 5. That brings us nearly up to date. Next time I’ll cover a few odds and ends from the nineties to the present that I think are worth a look. Stay tuned for that. This entry was posted in Logo Studies on March 5, 2008 by Todd. It’s the Spider-logo from the back of Spider-Man’s shirt – the one that evolved from Ditko’s sprawling rubber octopus shape to the more realistic spider design popularised by Alex Ross and pilfered for the movie. To my mind, it looks like a silhouette of Spider-Man’s head with legs coming out of it. Romita senior et al. always seemed to draw it that way. Oh! It’s also one of the longer-lasting designs for Spider-Man’s Spider-Tracers. 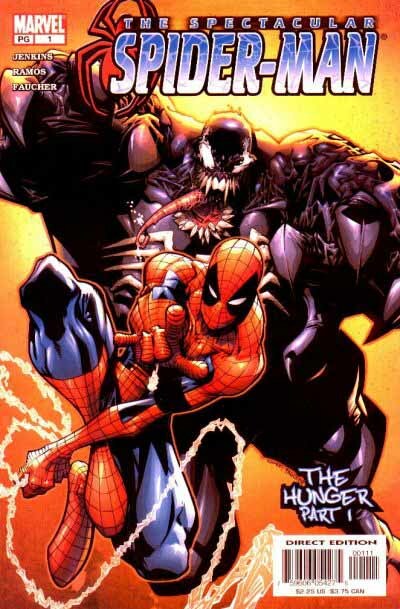 I remember the spiky design being described as more “animalistic.” It certainly seemed to go well with the jangly tension of the mid-nineties Spider-Man titles. Thanks, Matthew. 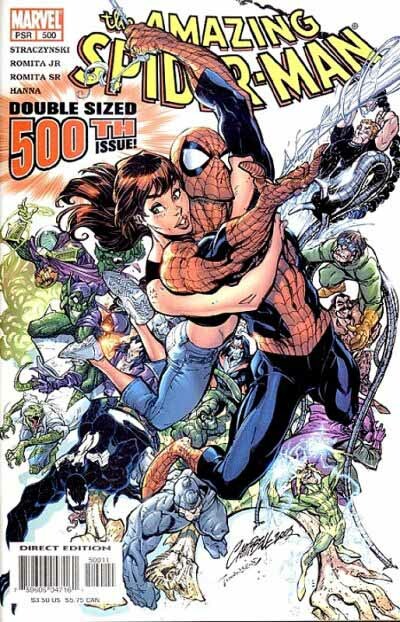 Yep, you can see it in the cover of ASM 30, above. I never really noticed it before, which I guess shows I haven’t looked at many Spider-Man comics since the sixties. 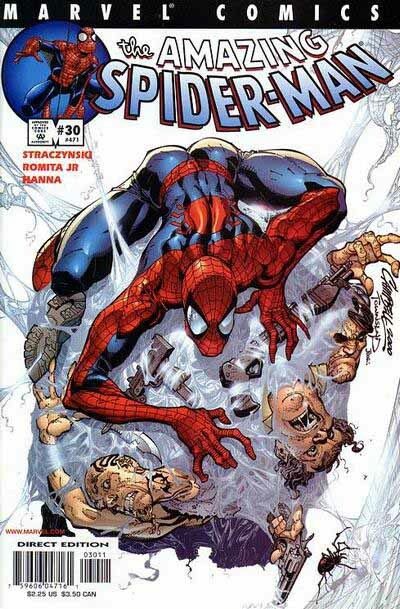 Also, that Spectacular Spider-Man logo above, with the big spider, predates the 2000s return to the spiky logo (I think Spectacular was the first title to return to the spiky logo, and ASM followed suit). 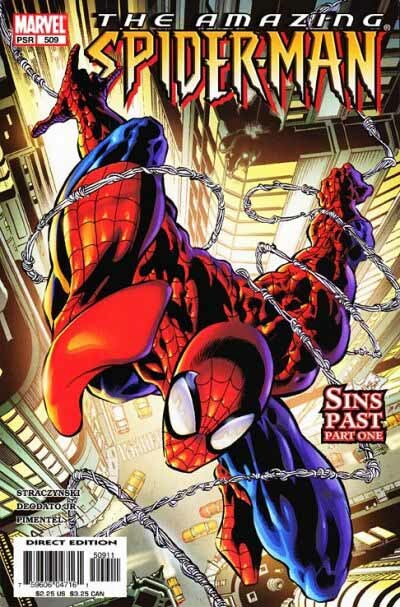 The comics now use a modernised version of the original logo, but the 2005 logo is used on the Ultimate Spider-Man cartoon.